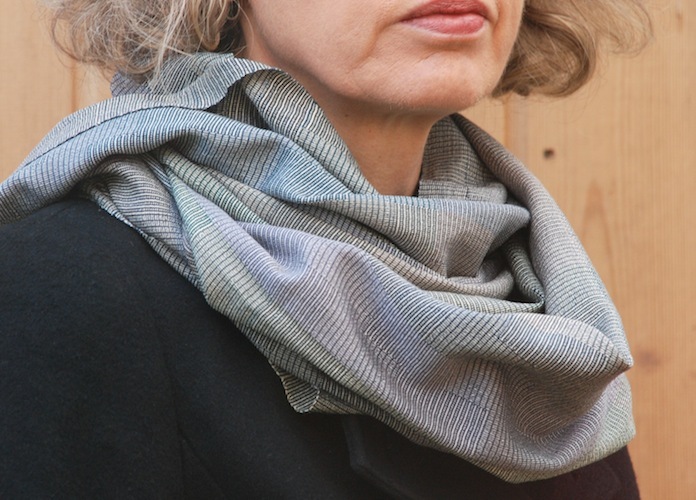 These lightweight silk wraps are woven in a subtle mix of colours and have a stepped pattern. They look beautiful when they catch the light. Suitable for men or women, these wraps are approximately 176cm x 56cm and weigh around 130g. They are available at £180 each including UK delivery. See How to Order for ordering and delivery information.